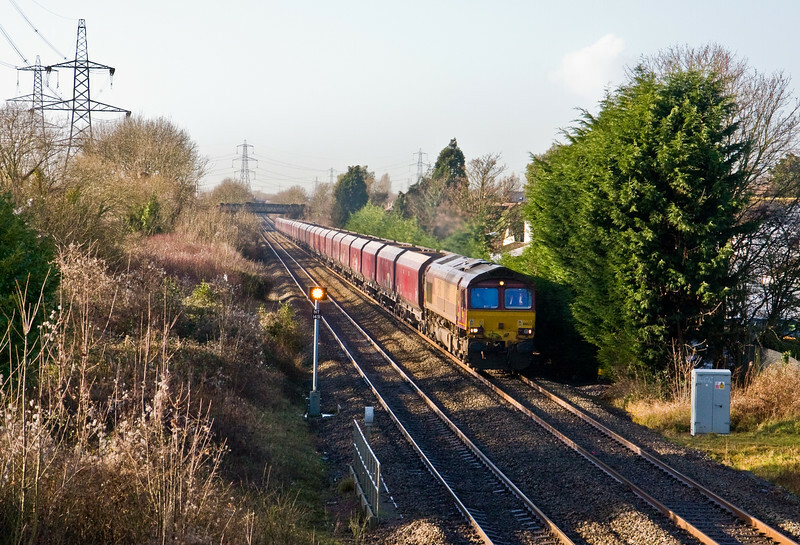 60054, 05.00 Robeston Sidings-Westerleigh Murco, Severn Tunnel Junction, 8-1-15. 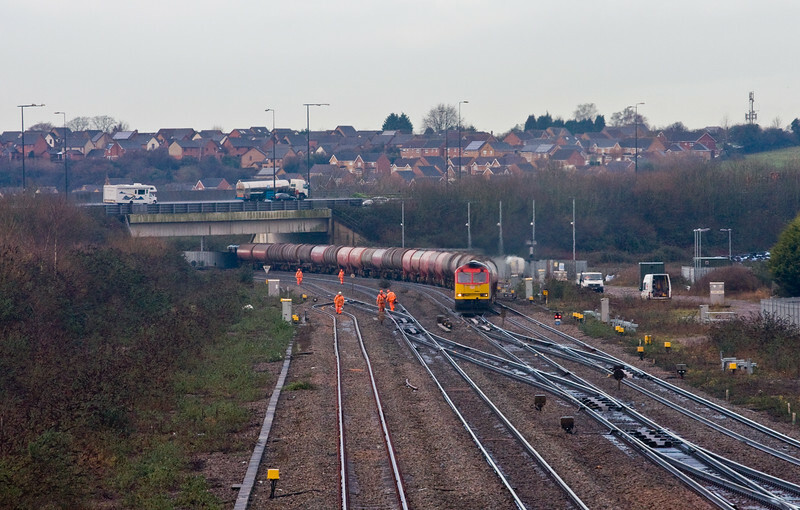 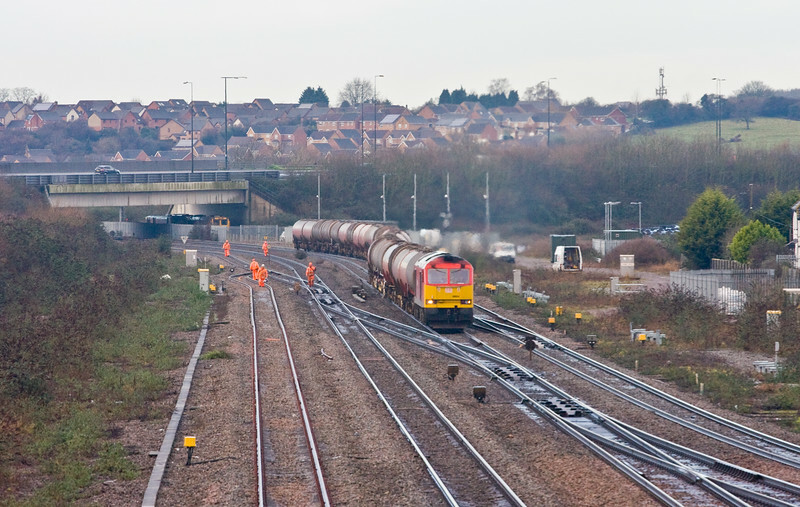 66553/66418(dead), 09.58 Cardiff Wentloog-Southampton Maritime, Severn Tunnel Junction, 8-1-15. 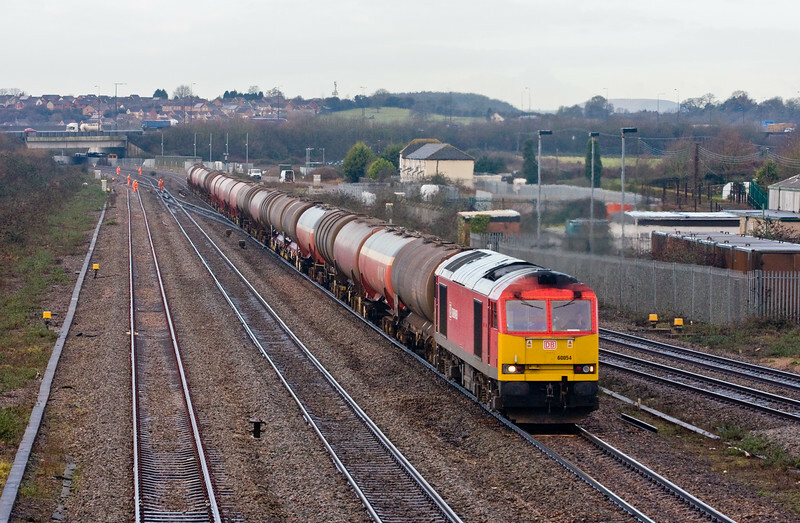 66431, 08.20 Daventry IRFT-Cardiff Wentloog, Portskewett, near Caldicot, 8-1-15. 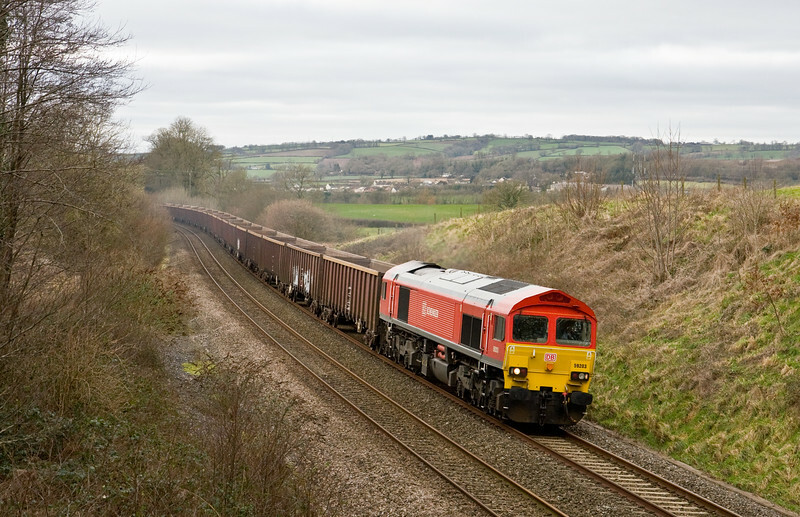 66122, 09.51 Margam-Redcar, Portskewett, near Caldicot, 8-1-15. 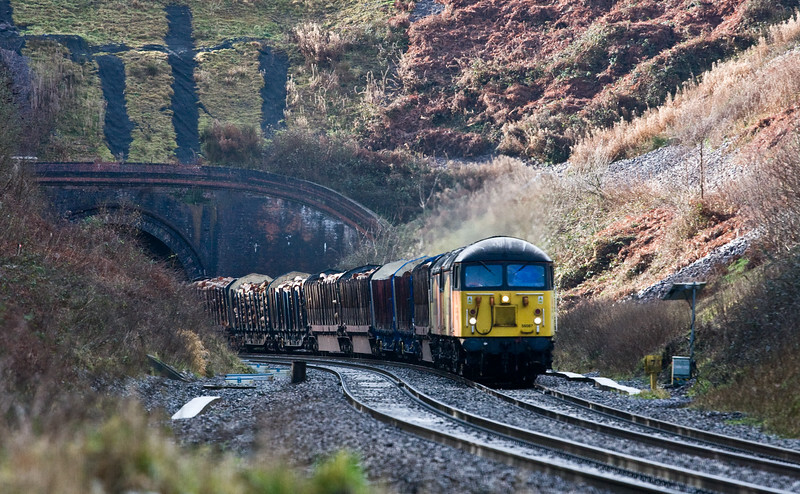 60099, 09.30 Dee Marsh-Margam, Llanvihangel Crucorney, near Abergavenny, 8-1-15. 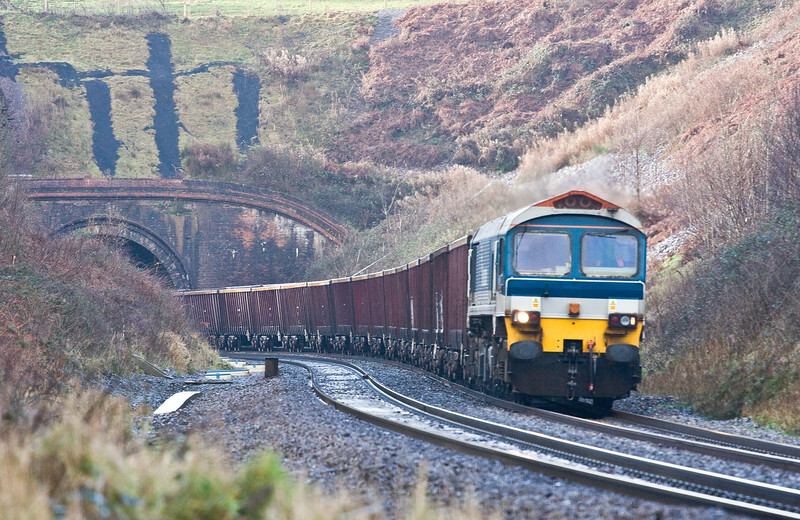 66006, 10.00 Cwmbargoed Opencast Colliery-Aberthaw Power Station, Bedlinog, 8-1-15. 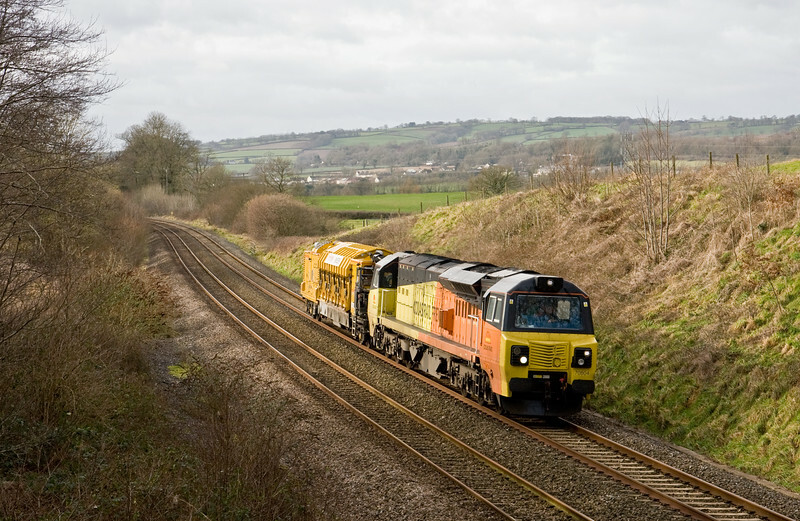 70804/70801, 05.00 Truro Penwithers Junction-Westbury Yard, Whiteball, 25-1-15. 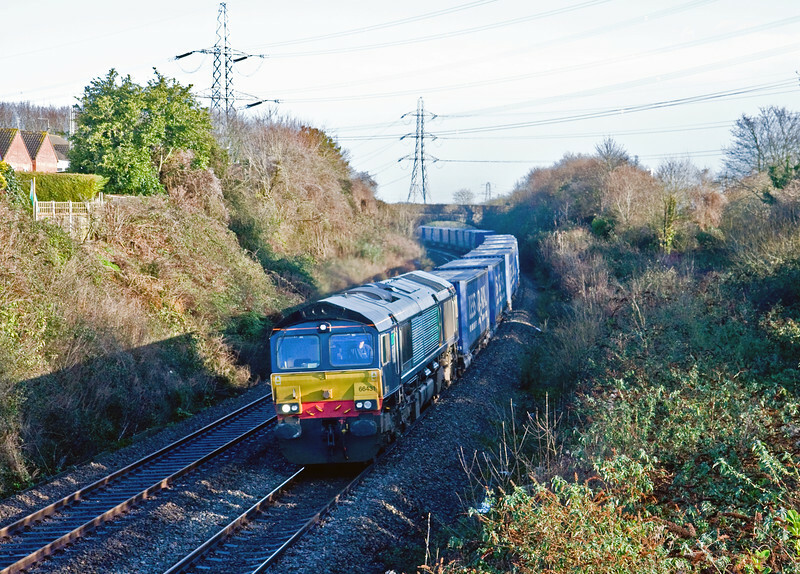 70804, 11.40 Goodrington Sidings-Westbury Yard, Whiteball, 26-1-15. 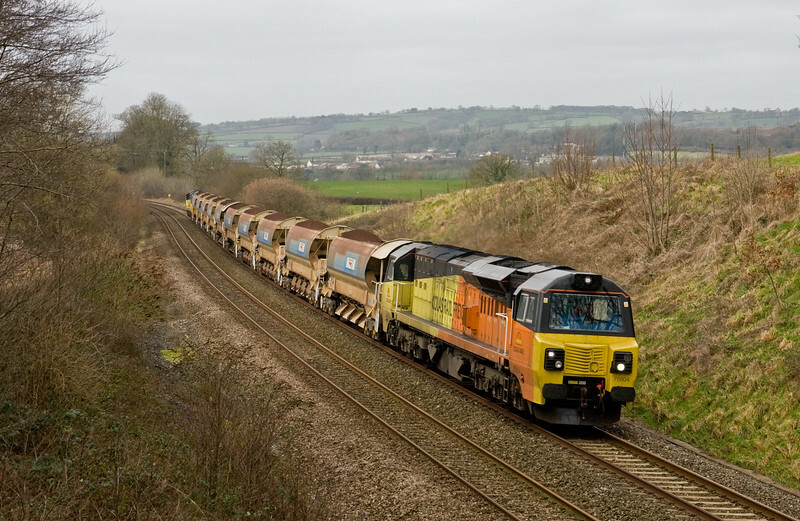 59005, 13.01 Exeter Riverside Yard-Whatley Quarry, Whiteball, 26-1-15. 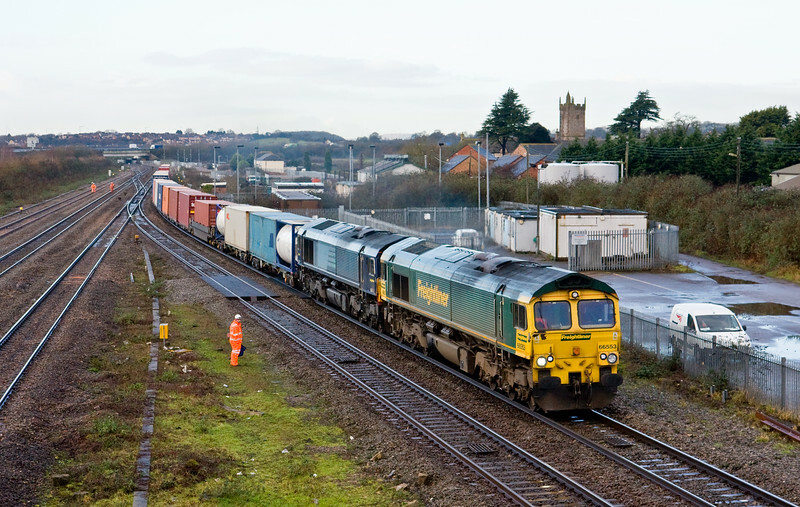 59203, 13.44 Exeter Riverside Yard-Whatley Quarry, Whiteball, 27-1-15. 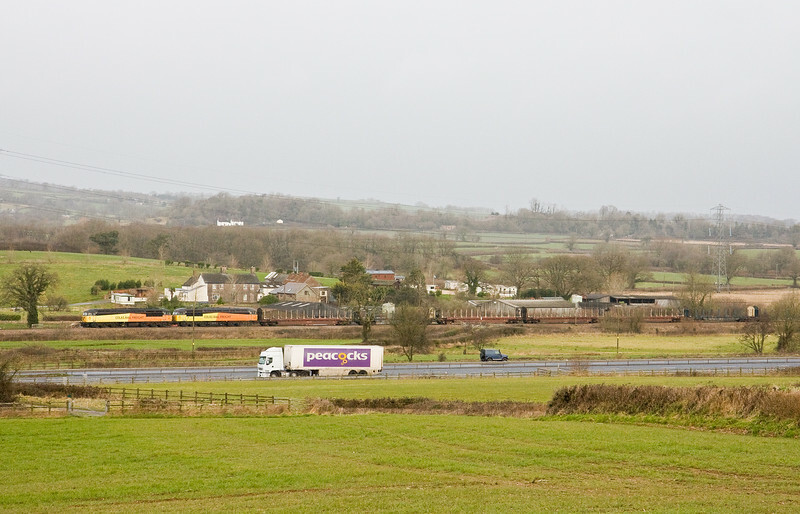 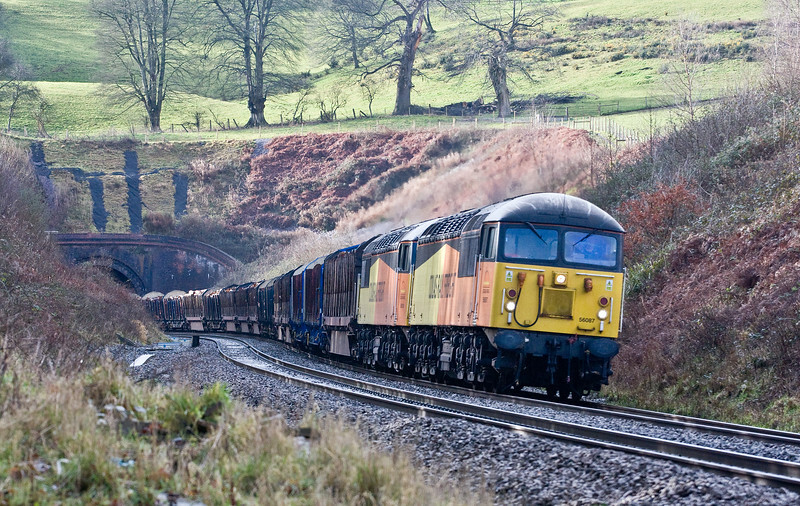 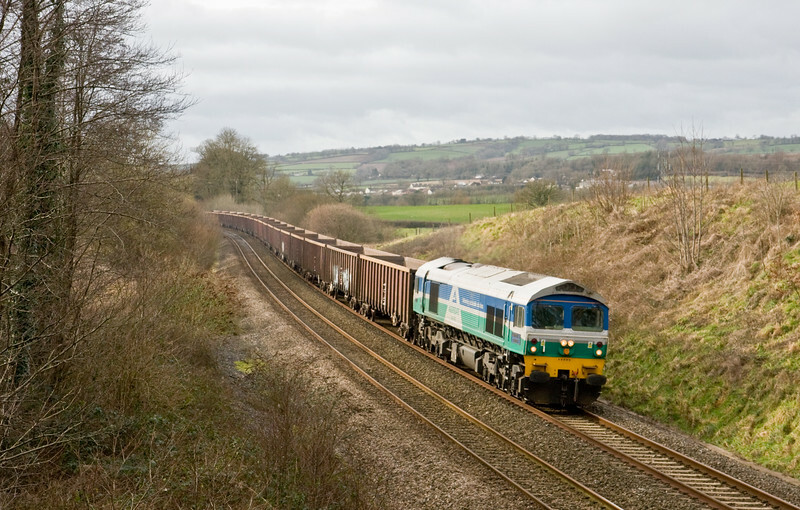 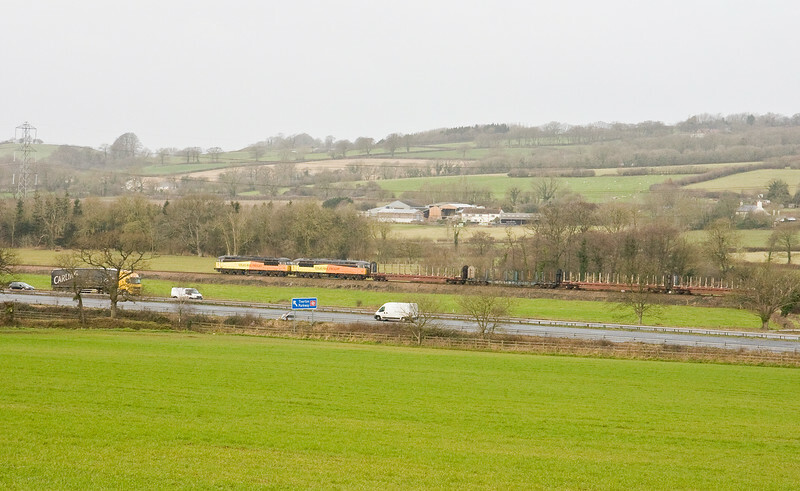 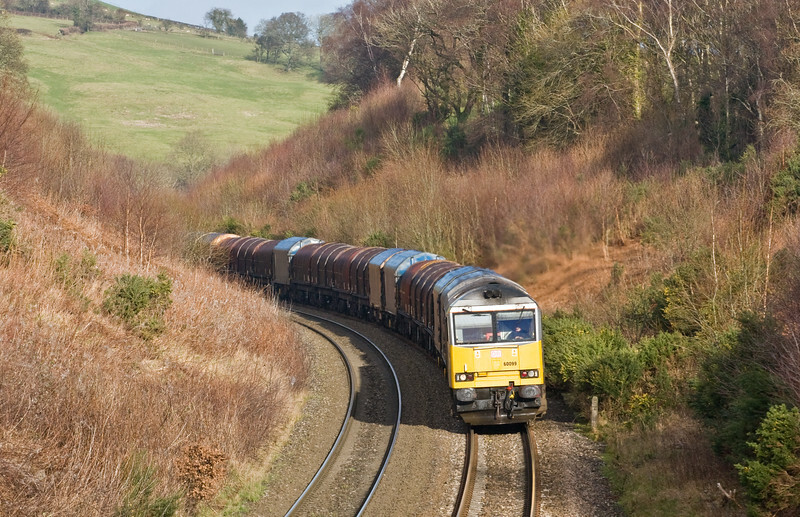 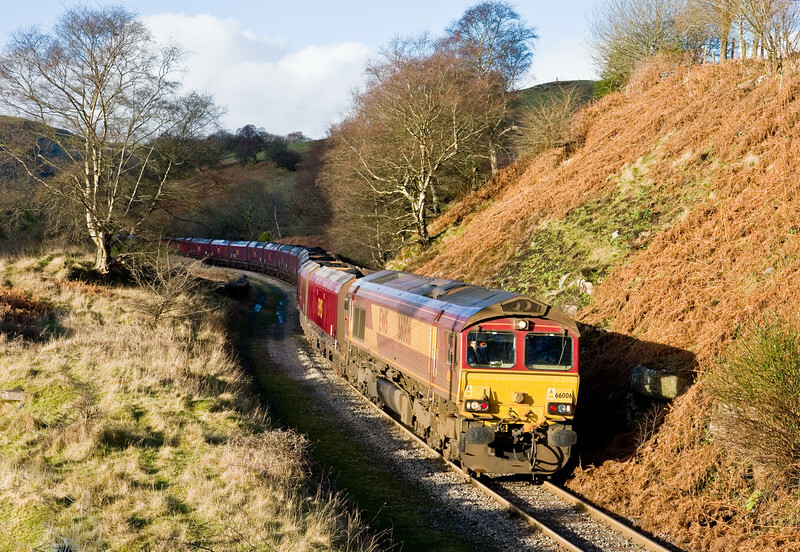 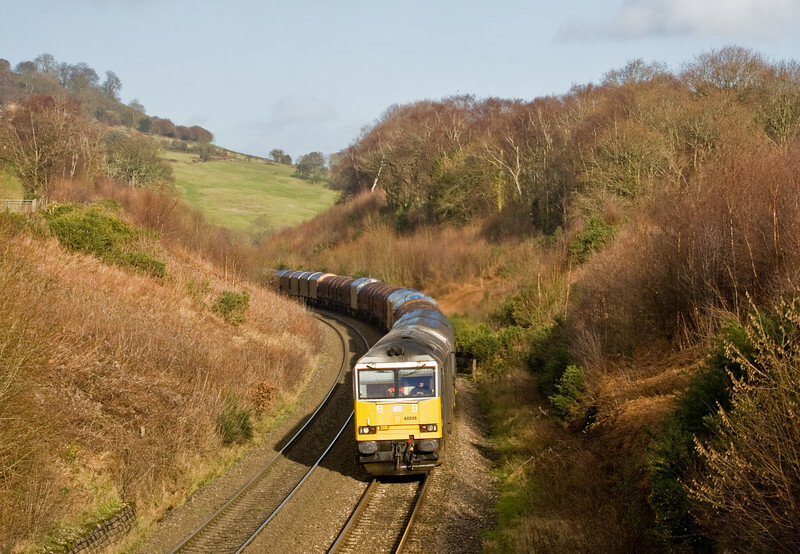 56087/56078, 05.25 Chirk Kronospan-Teigngrace, Pugham Crossing, near Burlescombe, 28-1-15. 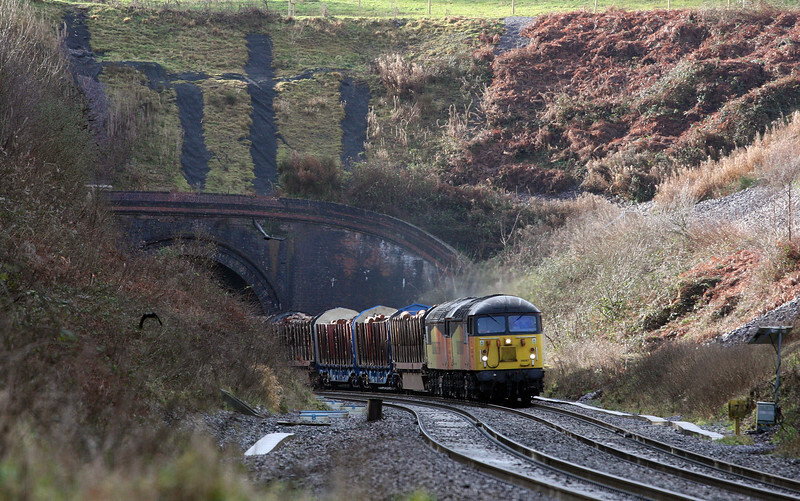 59101, 12.51 Exeter Riverside Yard-Whatley Quarry, Marlands, near Wellington, 29-1-15.